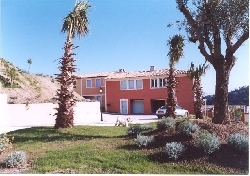 Les Colombelles is a newly constructed small private domain situated on the sunny and tranquil hillside of Les Issambres. Built in the Provencal style, the house is excellently positioned, south facing with uninterrupted views of the conservation areas in front of the estate and the Gulf of St Tropez. The living room is comfortably furnished to a high standard and tastefully decorated in contemporary decor with designer furniture and light fittings. The house has a small garden, two terraces, all south facing and also an integral garage. The modern kitchen is well equipped with all new and quality appliances. The domain has a lovely, large kidney shape swimming pool and a pool house; and is beautifully landscaped. It is only 5 minutes drive from the golden sandy beaches, shops, excellent restaurants and other local amenities of Les Issabmres, a picturesque small town along the coast of the Cote d'Azur. 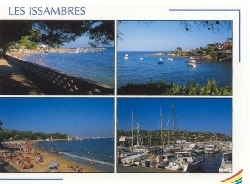 Les Issambres also has a marina, a sailing centre and a weekly open market on Mondays. 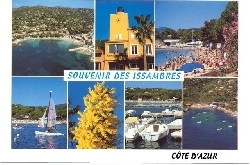 Les Colombelles is under an hour drive from either Nice or Toulon airport and midway between Cannes and St Tropez. 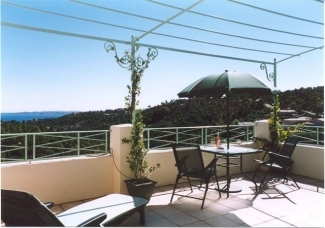 Perfectly situated for visiting major resorts and attractions such as Antibes, Frejus, Ste-Maxime and Port Grimaud. 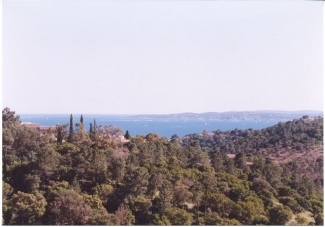 A short boat ride across the gulf of St Tropez will take you to the famous St Tropez. The Massif des Maures with their deep forests of pines, chestnuts and cork is just a short drive inland from Les Issambres. There are also numerous picturesque villages nearby that are worth exploring and plenty of rewarding drives with gorgeous views, landscapes and stunning coastline. Not to mention the vineyards and chateaux where you can sample and purchase the delicious Provence Rose to enjoy during your holiday and to load up your car to take home. The rent is inclusive of water and electricity. 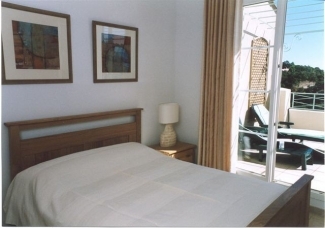 Linen and towels are provided at �10 (or 15 Euro) per person per stay. From November to March, there may be a supplement charge on heating. 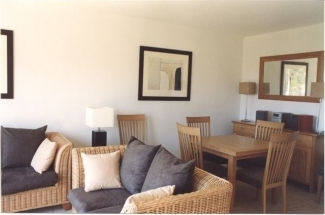 The weekly letting perios are from Saturday to Saturday. The rental period commences at 4 p.m. on the first day and finishes at 10 a.m. on the last day. Rent reduction will be offered to couples during Winter lets and for short breaks between October and April, minimum rental 3 days (starting any day).